Need a new roof? Don’t let a damaged or leaking roof get out of hand. Roof replacement is a big, important decision for a home or business owner. When it’s time to replace a roof, you can feel confident you’re choosing the right roofing contractor by partnering with Culbertson Construction. Culbertson Construction has been roofing homes and businesses for satisfied customers for 20 years. In fact, we are rated A+ by the Better Business Bureau. We provide the products, workmanship, and warranties you can trust. When replacing a roof, we follow the manufacturers’ instructions to ensure that your roof will perform at its best. We stand by our work by offering a lifetime, 50-year warranty on all shingles we install. Asphalt shingles come in a variety of popular colors and styles. They’re attractive, yet tough. Under these shingles, we install a synthetic underlayment which is stronger and lighter than felt. Over the shingles, we install ridge vents to remove excess heat and moisture. This improves the home’s energy efficiency and protects the roof from premature deterioration. Roofing jobs sometimes include skylight replacement, which is something our crew can handle safely and professionally. Roof replacement integrates several components including ice and water barriers, a synthetic underlayment, asphalt shingles, and ridge vents. These layers help control the temperature and moisture inside a home or business. A well-installed roof will withstand the forces of nature for years on end. Roof replacement is a major investment. That’s why we offer competitive, affordable estimates; generally, we can match our competitors’ prices. Our crew is experienced and professional, fully licensed and insured. Our team is quick and efficient, typically installing a roof in just one day. We use only top-performance components suited to Wisconsin’s climate. In addition, we clean up after ourselves, leaving behind a beautiful roof, without the mess. 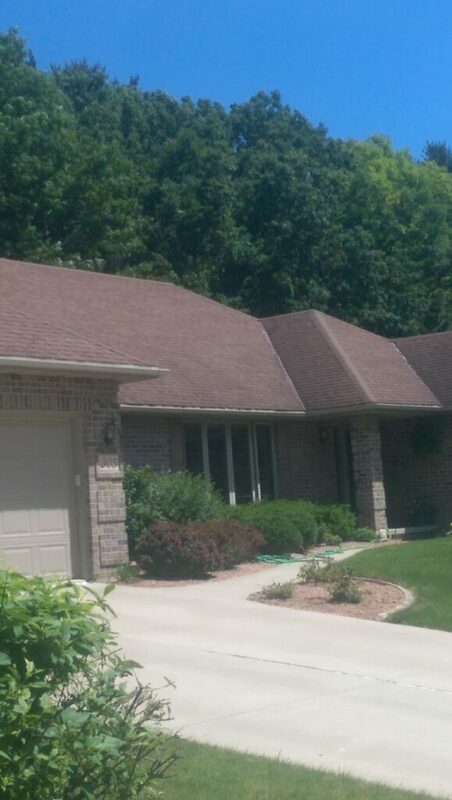 Culbertson Construction installs beautiful, high-performance roofs for residential and commercial customers in the Fox Cities and within a 50-mile radius of Green Bay. Contact us for a free estimate.